Time is running out on plans to reopen the popular Oakland theater, but J. Moses Ceaser has an idea. Ceaser is eyeing a spot on Oakland's Auto Row. The new Parkway Theater was supposed to be open by now. Anyone who knows this knows it agonizingly well. 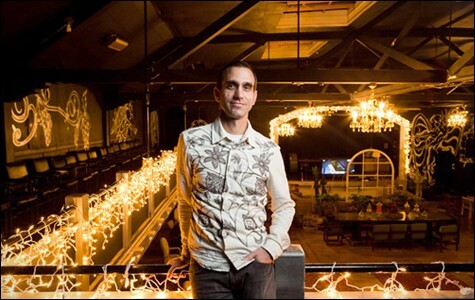 And the situation is moving beyond frustrating and ever closer to dire for J. Moses Ceaser, the East Bay entrepreneur who has harnessed considerable community support in an effort to reopen the beloved offbeat movie theater. A series of lease- and landlord-related setbacks over the last year have left him with no viable options at the tail end of the summer he originally hoped would be the revived theater's first. If The Parkway can't find a new home by the end of 2011, he said, he's considering pulling the plug. With only a couple months to go before the deadline, a glimmer of hope remains. Ceaser has his eye on a property on Oakland's Auto Row that's now on the market for $2 million, yet which the current owners have indicated could be had for as little as $1.3 million. The New Parkway's business model is designed to operate under a lease structure, but given Ceaser's luck so far he's hatched a new plan: Find someone who's willing to buy the property outright, fund basic building improvements, and then serve as the theater's landlord, earning 7- or 8-percent interest on the investment via monthly lease payments. Ceaser would use the funds raised to reopen The Parkway to pump another $600,000 to $700,000 into theater conversion and start-up expenses. But nothing is guaranteed, especially considering The New Parkway's track record. The trouble began with the owners of the original Parkway Theater on Park Boulevard, who led Ceaser along for months yet never agreed to a lease, leaving the deteriorating landmark vacant, potentially for years to come. Other rental prospects in North and Uptown Oakland dissolved when landlords refused to fund safety and structural improvements necessary to house a new tenant, Ceaser said. Ceaser reports he has no desire to quit but is concerned about fatigue setting in among his supporters. People are dropping off The New Parkway mailing list. Contributors to the theater's Kickstarter campaign, which raised $56,832 from 998 backers last December, are beginning to get impatient. Equity investors, 46 of whom contributed a total of $408,000 to The Parkway cause, may be getting wary of watching their money sit idle. And from a cash flow perspective, Ceaser fears that launching the theater in an environment of flagging enthusiasm may not be the best business move. "The last thing I want to do is put all this energy into it and have a situation where we have a slow bleed going on and it's not poised to succeed from the start," he said. Yet not even getting a chance might hurt worse. "It would make me really sad, and I think it would make a lot of people sad." The former auto upholstery shop now being considered as a solution is located at 2800 Broadway, not far from Whole Foods, new residential developments, and Oakland's expanding Uptown scene. BART is nine blocks away, I-580 is seven blocks away, and a bus stop sits directly out front. The high-ceiling warehouse is well-suited for conversion to a theater, and across the street is a gorgeous former showroom that seems ideal for a restaurant or bar. As cities including Berkeley and El Cerrito have shown, popular neighborhood theaters can singlehandedly spark the revival of underdeveloped or economically depressed districts, something Broadway Auto Row could use. And a survey conducted by Ceaser in March showed that Parkway supporters favored downtown or Uptown Oakland as an alternative to the previous Eastlake location. Ceaser said the building's owners are familiar with The Parkway and eager to sell. All he needs now is to identify what he calls a "social investor" who has the funds and is as interested in supporting a community institution as in making a profit. "It only takes one person who says, 'I've got this money and I'd like to do something,'" Ceaser said. "They can be a hero. "Time is of the essence; if we wait about for three or four more months, that property will be snatched up," he continued. "I am concerned, because I think it's a great building for what we're doing. I think it's a great fit for a theater." Oakland resident Kristian Reyes, a previous Parkway patron and equity investor who came on board this spring, fully supports the idea. "I'm excited about the 2800 Broadway location," he said. "It would be wonderful." And while he acknowledges Ceaser's rationale for setting a deadline at the end of the year, Reyes says he's in no hurry to get his money back: "I've committed the money ... I'm personally in favor of leaving it going." Fellow Parkway equity investor Rob Byrne echoed the sentiment. "I am interested in having my money there as long as we are moving forward and exploring options," said Byrne, who previously served on the board of directors for Friends of the Oakland Fox, an organization that supported the restoration of the Fox Theater. "The model is there, so I'm more enthusiastic about us getting something done than I am about pulling a cord." He considers the Uptown building not just a great location for a theater, but also a shrewd move for a new property owner. "If that's where we end up, I think we'll be on the forefront of people who are moving there. ... Property values have got nowhere to go but up, because I think that area is getting more and more attractive." Ceaser said he has explored funding sources within the city and Redevelopment Agency. The latter, he noted, should be able to commit around $150,000 to the project, yet according to staff member Patrick Lane, all new redevelopment funding is currently frozen by Governor Jerry Brown. Ceaser also looked into obtaining a loan from the US Small Business Administration, but found it's difficult to do so until you've been in business for at least two years. If, when, and wherever in Oakland the Parkway reopens, it'll be a boon to the city. Beyond serving as a beacon and economic engine for neighboring businesses, it will create as many as thirty new jobs in the city. At the same time, it'll provide emotional relief to thousands of residents who came to regard the unique theater in its first twelve years as a treasured community center and cultural touchstone. "It killed us when the place closed," said Reyes, who often brought his daughter to the popular Baby Brigade showings. "We missed it and felt that it was a really big part of our lives." 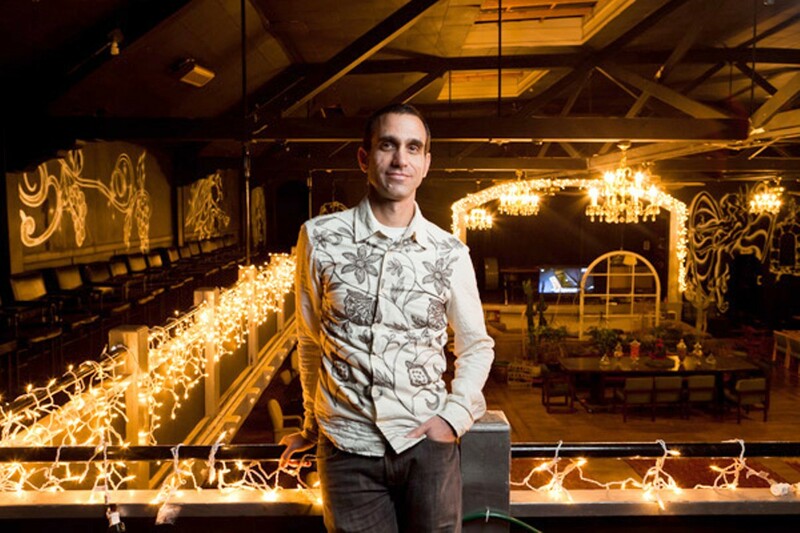 Darren Hawk of I Like the Parkway, a grassroots group founded to revive the theater shortly after its closure in March 2009 that is now more or less dormant, is distraught that nothing has happened yet. The past two and a half years have been fraught with dashed hopes, he said. "Maybe there's only one real shot at getting this thing off the ground." And this appears to be it.